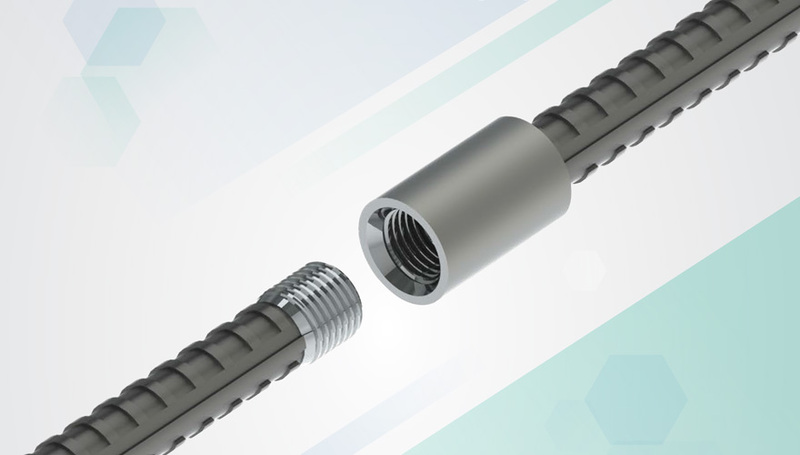 Reinforcing Steel Threaded and joined by BARTEC Couplers is used in the Construction Industry to speed up Reinforcing Steel Installation, and can be used where Reinforcing Steel would protrude from the Concrete and interfere with access and mobility around a Construction Site. The Bar End Preparation consists of Saw Cutting, Cold Forging, and then Threading. The Bar-Ends are then connected by a BARTEC Coupler.